As a family dentist, Dr. Durgesh Thaker helps adults and children alike achieve optimal oral health. 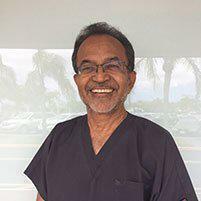 With two offices in Tamarac, Florida, Dr. Thaker can address oral health at all stages of life. If you’re looking for a dentist for the whole family, call the office or use the online booking tool to schedule an appointment today. As a family dentist, Dr. Thaker specializes in a range of dental services. He and his team provide everything from dental cleanings and fillings to more specialized treatments such as tooth extractions, dentures, implants, sealants, and crowns. Whatever your family’s oral health needs, a family dentist like Dr. Thaker can help. When you can get all these services in one place, it makes scheduling and attending appointments far more convenient. Instead of spreading your oral health history and treatment over multiple providers, Dr. Thaker can take care of it all under one roof. When Dr. Thaker cares for your whole family, he gets to know you better, too. With a strong doctor-patient bond, you’ll always feel confident that he has your best interest at heart when recommending treatment. What benefits does a family dentist offer children? Children have different dental needs than adults. Dr. Thaker has experience working with children and can address their specific needs with skill and compassion. He can treat your child as they grow from youth into adolescence and adulthood, addressing all of their concerns along the way. With a pediatric dentist, you’ll eventually need to change dentists as your child ages — not so with a family dentist like Dr. Thaker. Having experience working with children also allows him to ease any anxiety and make your child feel comfortable in the dentist’s chair. Developing a strong commitment to oral hygiene at a young age is crucial to long-term oral health. Dr. Thaker educates every patient during treatment to help you keep your smile as healthy as possible throughout your life. How do I decide if a family dentist is right for me? A family dentist is a great choice whether you’re a single adult, part of a couple, or a parent with children. Dr. Thaker can meet your oral health needs, detect problems, treat existing conditions, and help improve your smile. He’s compassionate and professional, providing an atmosphere that’s comfortable and welcoming. If you need a reliable, professional dentist for your whole family’s oral health needs, call or book an appointment online with Dr. Durgesh Thaker today.